The third course in PADI’s tec-rec range completes your training as an entry-level tec diver, taking you past the limits of recreational diving and allows to explore for deeper and longer to such sites as the Lost Village in Koh Sok National park or join liveaboard adventures to the HTMS Toturri maru and the stricken Oil Rig, the Seacrest and other sunken military vessels in the Gulf of Thailand and beyond. So if you’re interested in technical diving, and wish to further your depth limitations beyond recreational diving and the Tec 40/45 courses, you can consider continuing your technical education with Tec 50 course, or if you’re not already a technical diver then we can combine the Tec 40/45/50 certifying you as a PADI Tec Deep Diver. 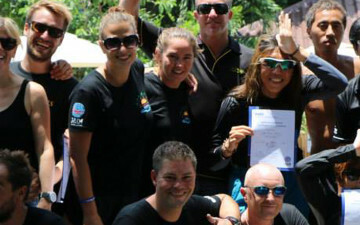 This module is the last component of the full PADI DSAT Tec Deep Diver course. 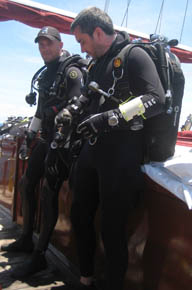 This qualification represents a high level of competency for a technical diver. 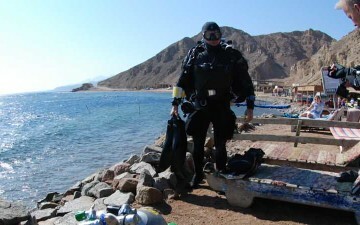 The diver is qualified to use air/EANx/oxygen to make extended range accelerated decompression dives. 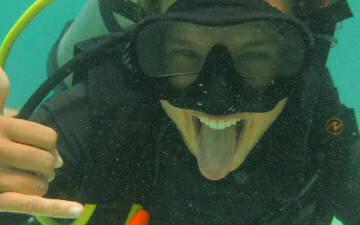 During the Tec 50 course, you make actual decompression dives as deep as 50 meters/165 feet. 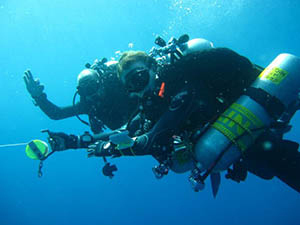 This course builds on the training, dive planning and technical motor skills learned in the Tec 40 and Tec 45 courses and allows the diver to make extended range, accelerated decompression dives to 165ft/50 meters using air and enriched air/O2 (up to 100% oxygen) with technical diving equipment and procedures utilised. 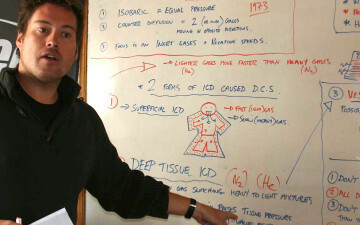 The divers will again, learn the importance of working in a team for both dive planning and execution. 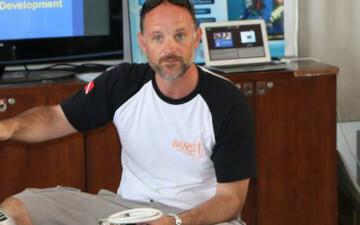 You will use desk top decompression software to create custom dive tables and plan your dives. 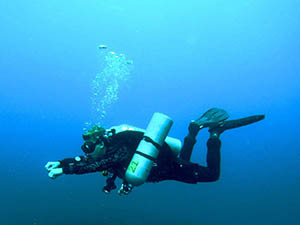 Emphasis is placed on utilizing the tools required to execute technical dives safely by preparing for and responding to reasonably foreseeable emergencies that may occur in this type of diving. 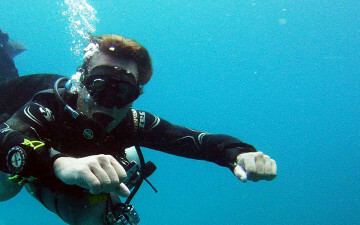 The training you will receive through this process will provide the fundamental skills and knowledge for you to progress successfully onto the PADI DSAT Tec Trimix 65 or full PADI DSAT Trimix course. Be at least 18 years old • Have a medical form signed by your physician. You’ll learn to make gas switch, extended no-decompression dives using air, enriched air and pure Oxygen, to 50 meters/165 feet. You will practise all the motor skills learned in Tec 40 and Tec 45 whilst swimming ‘on the fly’ and encounter ‘surprise’ emergency drills. 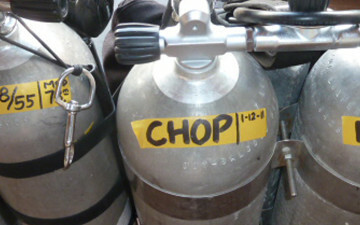 You’ll also prepare for and respond to foreseeable technical diving emergencies. Since it’s part of the Tec Deep Diver course, your PADI DSAT Tec 40/45 course training credits towards this and the full PADI DSAT Tec Deep Diver course.